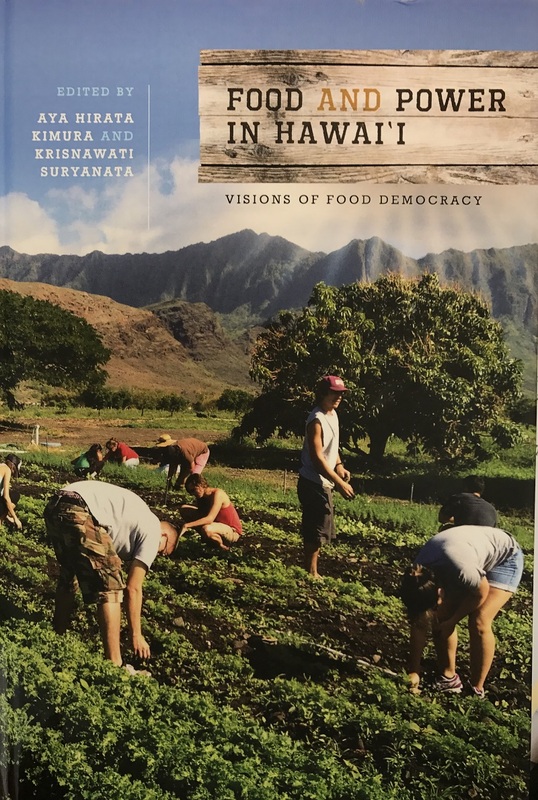 Professors Krisna Suruyanata and Monique Mironesco presented on their new book, Food and Power in Hawaii: Visions of Food Democracy. The talk was a highlight from two chapters in the book. Prof. Suruyanata told us present-day Hawaii only uses around 400,000 acres for agriculture. The urban centers have grown by about 50,000 acres since 1978. There has been a drastic change in the type of agriculture in Hawaii over the last 100 years: from sugar to pineapple to macadamia nuts and tropical flowers. 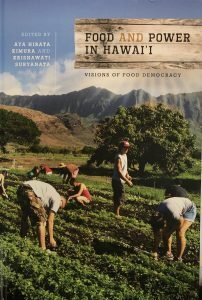 Hawaii’s dependence on imported food to eat ballooned as the local production of food dwindled. Prof. Suruyanata merged her love and scholarship of geography to explain how these evolving agricultural landscapes changed over the decades and the policy tools implemented to make these changes. She surmises the laws created to protect agricultural lands have failed largely and have had little impact on rural gentrification. Prof. Mironesco looked to farmers’ markets, analyzing them through the lens of a political scientist. She alleges these markets are a political tool and come in varying models and purposes. 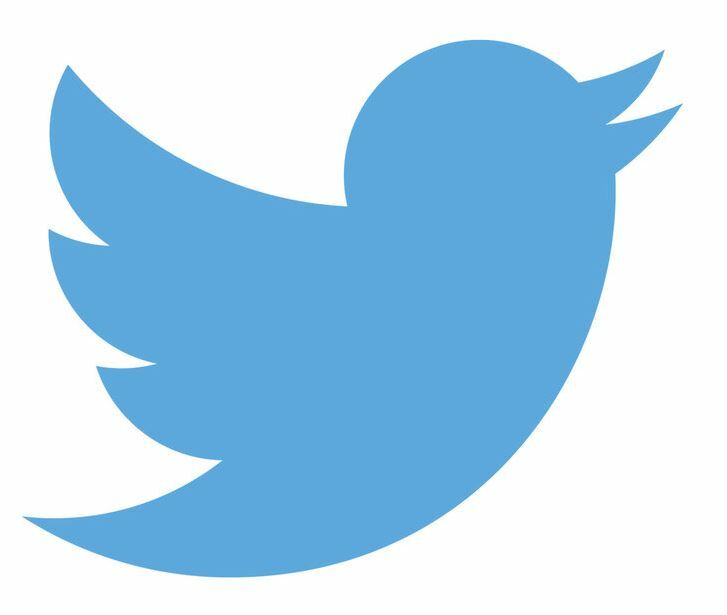 Their benefits include promoting farm security and food security. However, these markets do not always reach their stated goal which is to increase income for local farmers. There are competing interests the farmers’ markets of Hawaii: increased income to farmers versus the need to feed Hawaii’s low-income population. Another competing dynamic markets face is catering to tourists versus local customers. Generally speaking, tourists tend to want more souvenirs and food to be eaten on the spot whereas locals are looking for fresh food to take home with them. Farmers’ markets have greater enemies also: agri-food business. When it’s easier or cost-effective, market vendors carry food from Costco rather than food they have grown. This is not encouraging a light carbon footprint or sustainability principles. On the positive side, Mironesco told us agricultural business can be a perfect training ground for students. They learn transferable skills like customer service, project management, logistics, and accounting to name a few. She feels we could start a renaissance in Hawaiian agriculture that will help feed and train skills to future residents of Hawaii.